If our standard machines do not fulfill your needs, our internal technical department will be able to develop ad-hoc solutions to solve each specific case. Before giving an estimate, our team performs feasibility studies. 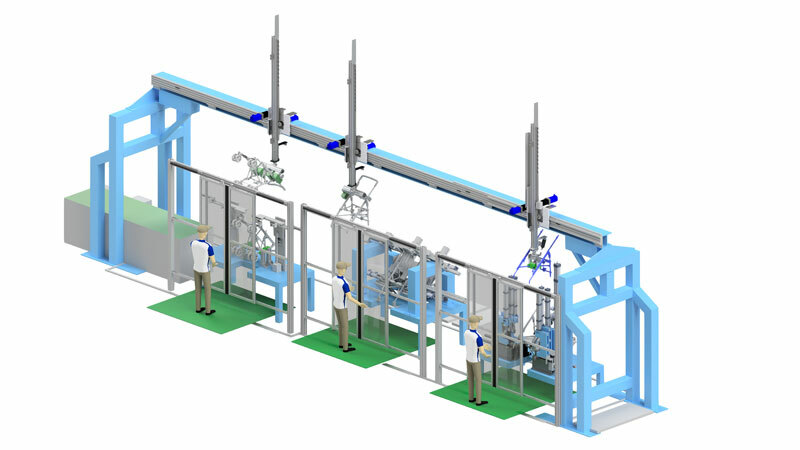 If successful, the customer will be able to look at all the parts of the machine and its functioning with 3D animations before the construction. Our company takes care of both the productivity point of view and the ergonomic one, which helps the operator be efficient without excessive effort or uneasy movements. Our work does not end here, thanks to our post-sales service which operates all over the world. Furthermore, upon request, our special machines can be equipped with remote assistance.